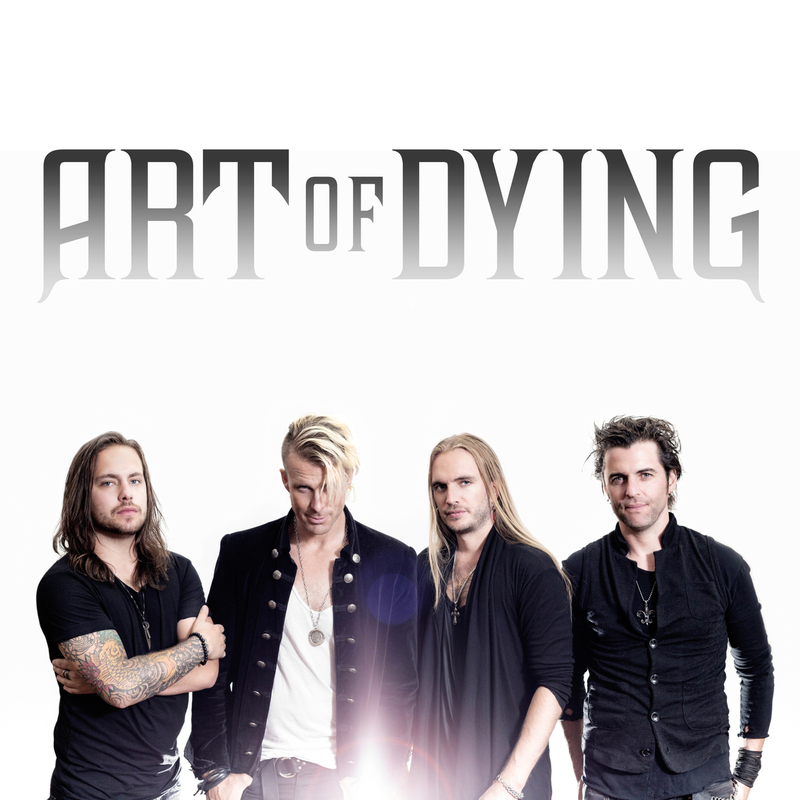 Art Of Dying Release “Torn Down” Off Upcoming EP ‘NEVERMORE’ – Ouch That Hertz! (August 27th, 2016) – Art Of Dying recently released their new single, “Torn Down,” off of their upcoming EP NEVERMORE. The band will have brand new music in tow on their 40+ US headlining tour, with support from Children 183 and Letters From The Fire. The NEVERMORE CD will be available at their shows and at www.artofdyingmusic.com and drops Sept 2nd on iTunes, Spotify, and digital/streaming outlets everywhere. Preorder NEVERMORE on iTunes starting TODAY for $2.99 (USD) and get “Cages” as an instant grat track! Special price ends Sept 2. Click HERE for tickets + Exclusive VIP upgrades! There is an old saying which claims that great art is 90% perspiration and 10% inspiration. The truth though is that exceptional creativity is nurtured by a complexly brewed combination of unswerving dedication and God-given talent. It’s a fact no better illustrated than by the history of Vancouver’s hard-rock icons ART OF DYING and their talismanic frontman Jonny Hetherington. From hours busking on the corners of frozen streets to gatecrashing some of North America’s biggest venues, to writing and recording records of truly earth-shattering proportions, the trajectory of the quartet’s career has astonished both fans and industry insiders alike. And what ART OF DYING have been able to create is muscular, vivacious hard-rock bursting with lung-shattering choruses and a sincerity that is impossible to fake. Equally at home with a lead-fingered riff or a deft slow-burner, there is an ease of breadth in AOD’s repertoire that would send most of their peers salad-green with envy. Now, with two critically-acclaimed and widely-played major label albums under their belts, ART OF DYING are returning with new independent extended player NEVERMORE, their most imperious effort to date. Indeed, if NEVERMORE is about one thing above all else, it is a study on the power of human will and the uplifting capacity of one’s own self belief. This is rip-snorting rock ’n’ roll that will smash your self-doubt into a million pieces. It’s a record for the believers, for the die hards, for those sick of getting torn down, but also those who realize they are strong enough to get back up..